The present parish of St. Herman of Alaska, Langley, B.C., began in 1975, when a group of parishioners from the predominantly Russian Holy Resurrection parish in Vancouver decided to start an English mission in the lower mainland. These few faithful, led by Dr. Edward and Mrs. Vivian Hartley of Surrey, with the bishop’s blessing, began to hold Reader’s services in their private back-yard chapel. The mission was served through the years by a succession of clergy, some resident, some visiting. By 1986, they were again without a priest. After a year of holding Reader’s services in the back-yard chapel, through the arranging of (then bishop-elect) Fr. 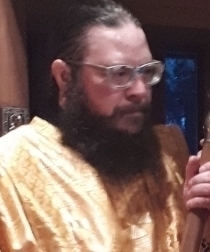 Seraphim Storheim, they learned that a seminarian of St. Tikhon’s Seminary in Pennsylvania, soon to graduate, was interested in coming to Canada to do English-language mission work. This priest, Fr. Lawrence Farley, came to the parish in 1987 as their assigned priest, in which capacity he has served until the present time. Fr. Lawrence worked at a number of secular jobs until the parish could grow and offer full-time support. As the parish grew, it moved from its original back-yard location to rent a number of church facilities in Surrey and Langley. Eventually it was able to purchase property at its present location in Langley. A number of B.C. clergy trace their beginnings to St. Herman’s parish. Priests and deacons from All Saints Church in Victoria, St. Barnabas Church in Comox, St. John of Shanghai in Vancouver and St. Aidan’s Church in Cranbrook all were baptized at St. Herman’s. It is served by Fr. Lawrence, assisted by Deacons Gregory Wright, Symeon Price and Zaccheus Green. All services are in English. Today the majority of the parish consists of converts, just like its first founders, as well as a number of members from several different traditionally Orthodox backgrounds. The parish community, with a great number of young families, has mostly outgrown its present quarters and is actively working on a building project that will allow them to worship in a larger and more fully Orthodox temple and more suitable hall facility. 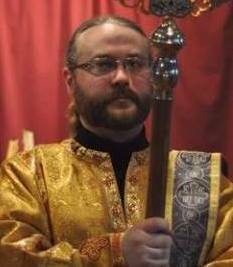 Deacon Gregory Wright: Deacon Gregory was born was born in Vancouver in 1975 of Russian Orthodox parents. He married in 1995. 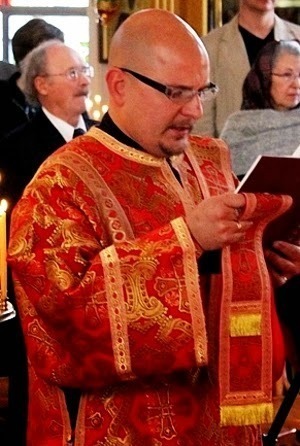 After studying theology through the St. Arseny extension course, he was ordained deacon in 2009. He and his wife Ana live in Port Moody with their two children. 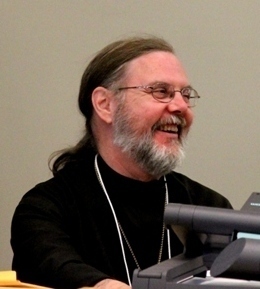 Deacon Symeon Price: Deacon Symeon and his family were received into Orthodoxy by baptism in 2012 at St. Herman's, having formerly pastored an Evangelical congregation in Abbotsford. He is currently enrolled in the Orthodox School of Theology at Trinity College, Toronto, taking courses by long distance. He was ordained to the diaconate in 2018 and lives in Abbotsford with his wife Christa and their four children. Deacon Zacchaeus Green: Deacon Zacchaeus were received from Protestantism into Orthodoxy by baptism in 2010 at St. Herman's. He studied theology through the St. Arseny extension course, and now works as a funeral director, running "Ancient Burials". He was ordained to the diaconate in 2018 and lives in Aldergrove with his wife Julia and their six children.